One current climate theory suggests that global warming could result in El Nino conditions becoming permanent as opposed to occurring in prevailing two-to seven-year cycles. 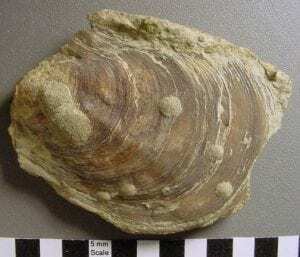 New research based on a study of a long-lived species of fossilized clam that lived of the coast of Antarctica indicates that was not the case during the early Eocene, when the Earth was as warm as it’s been in the last 65 million years. El Nino is characterized by unusually warm ocean temperatures in the eastern equatorial Pacific, which can result in torrential rains in Peru and drought in Australia. It’s “the warm phase of a large oscillation in which the surface temperature of the tropical Pacific varies, causing changes in winds and rainfall patterns,” explains the Physorg,com report. The complete phenomenon is known as the El Nino Southern Oscillation, or ENSO. Prevailing climate theory suggests that global warming could cause the ENSO to collapse and would result in permanent El Nino conditions. New research conducted by a team led by Syracuse University researcher Linda Ivany suggest otherwise, however. Ivany led an international team that studied a species of fossilized clam that could live more than 100 years during a time when Antarctica was as warm as Virginia is today. It turns out that the clams’ growth rings can be analyzed akin to the way tree rings are analyzed, providing a long-term picture of ancient climatic conditions. The team found that the distances between consecutive bands in the clams’ shells varied with a two-to seven-year periodicity typical of El Nino’s periodicity. They also found the same pattern in fossilized driftwood found buried in sediments along with the clams. “While it might sound counterintuitive, it turns out that the inter-annual climate variations seen in the tropical Pacific today are strongly teleconnected to the Antarctic. This seems to have also been the case 50 million years ago,” Ivany said.